Unusual Kentucky: Al-Qaeda in Kentucky? The Christian Science Monitor is reporting that two Iraqi men have been accused of conspiring to aid the terrorist group Al-Qaeda from, of all places, Bowling Green, Kentucky - where they've lived since 2009. 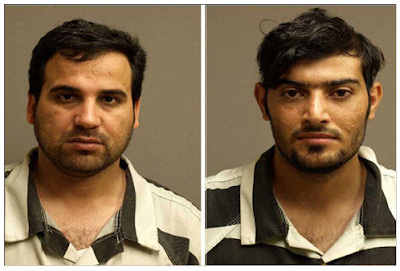 "Waad Ramadan Alwan and Muhamad Shareef Hammadi, both of Bowling Green, have entered not guilty pleas and are being held pending a pretrial detention hearing. They were charged in a 23-count indictment returned last week. Mr. Alwan is accused of conspiring to kill US nationals abroad, distributing information on the manufacture and use of improvised explosive devices in Iraq, and plotting to transfer Stinger missiles to Iraq. Mr. Hammadi is charged with attempting to provide material support to Al Qaeda in Iraq, and conspiring to transfer Stinger missiles."